We’re not just staff – we’re family! At the heart of Camp Sabra is our great staff. 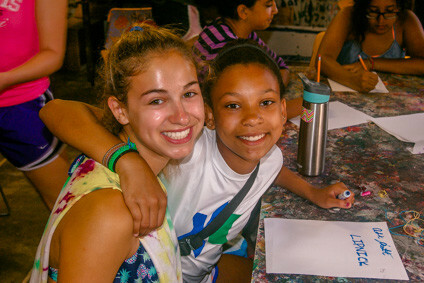 They love working at Camp, and their joy shines through in the experiences they create for our campers. Our Camp Sabra staff members know what a great camp can do: forge friendships, open minds, foster lasting memories and change lives! Our staff members love to work with children. We look for people who have the ability to work as a team, who want to help campers develop in both social and in skill areas, and who are committed to keeping Camp Sabra a kind community. We demand that our staff is amazing, and we help them develop the skills they need to get there. Camp Sabra staff is loyal to our great camp. Our staff retention rate holds at over 80% every year, and many staff members were Camp Sabra campers themselves. Our staff come from all over the U.S. (and even from abroad), but they return to Camp Sabra each summer and bring their own life experiences with them. This diversity creates a welcoming, accepting and kind community at camp that begins with our staff and radiates throughout all camp community members. 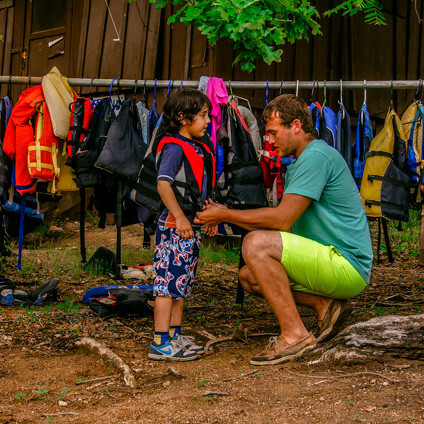 Camp isn’t just a great place for campers – it’s a great place for staff too! Are you interested in joining our Camp Sabra family? More than 100 positions are available each summer, and each one is an important addition to how we create and maintain an excellent experience for our campers. Our office and maintenance staff keeps camp running smoothly. Our drivers get us to camp, to our trip destinations, and back home, and our kitchen staff keeps us well fed and energized. Contact our Assistant Camp Director, Ben Panet, for more information, or click here to apply. Need an internship? Camp Sabra can work with you to create a unique position that can help you earn school credit, community service, internship hours, and looks great on your resume. Camp Sabra internships are not only fulfilling academically and professionally, but these opportunities are fulfilling personally, as you are immersed in our camp community. Why dress in a suit and tie when you can wear shorts and flip flops? Contact Assistant Camp Director, Ben Panet, to find out more. We spend a lot of time visiting camping and campus events around the country (and some abroad). To inform Camp Sabra about an event, please contact Ben Panet.